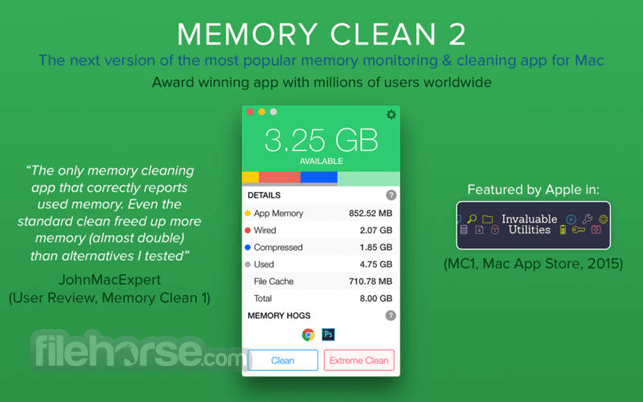 Memory Clean for Mac is the ultimate app for optimizing your Mac's memory and is best used after you have finished using a memory (RAM) intensive app or game. It replicates the feeling of a fresh system restart. 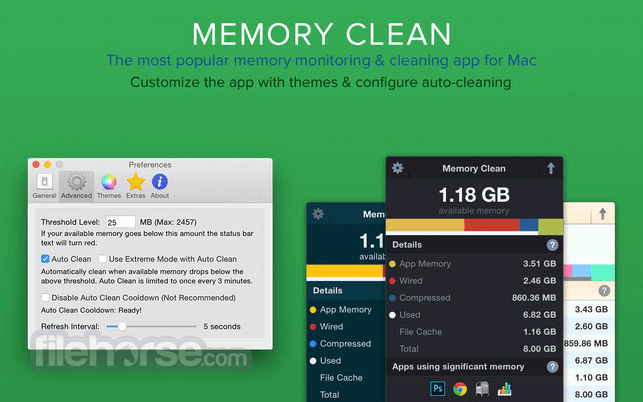 Download today the #1 Rated Free Memory Cleaning Software for the Mac!